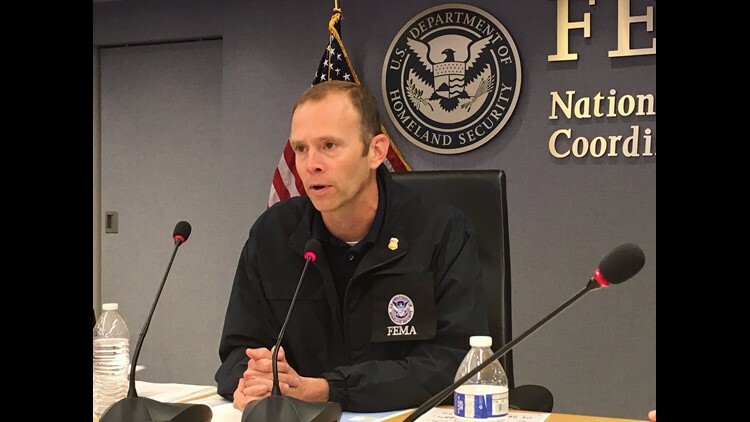 Brock Long, administrator for the Federal Emergency Management Agency. WASHINGTON – The head of the Federal Emergency Management Agency said Sunday he won’t resign amid reports that he is the subject of an investigation into his use of government vehicles for personal travel. “I'm here to serve my country every day – that’s all I do,” FEMA Administrator Brock Long said during an appearance on NBC’s "Meet the Press." Long denied reports that Homeland Security Secretary Kirstjen Nielsen asked him to step down. The Department of Homeland Security’s inspector general is investigating whether Long "misused government resources and personnel" on his weekend trips home to Hickory, North Carolina, Politico reported last week. Long reportedly began having a government driver take him home after he took control of FEMA last year. Aides that went with him were put up in hotels at taxpayers' expense, one official told Politico. While Florence ravaged the Carolinas on Sunday, Long spent much of his time on "Meet the Press," answering questions about the investigation. Long said he was cooperating with the investigation and defended his use of the government vehicles, which he said are needed to provide secure communication. Long defended President Donald Trump’s denials that 3,000 people in Puerto Rico died a year ago during Hurricane Maria. Studies have calculated the death toll differently and “the numbers are all over the place,” he said. Regardless, “there’s just too much blame going around, and we need to be focused on what is Puerto Rico going to look like tomorrow,” he said.